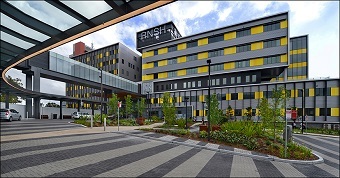 The hepatology unit at Royal North Shore Hospital provides a remote hepatology consultation to support GPs and other medical officers in prescribing HCV treatment to their patients in the community without the patient having to be seen in the liver clinic. It is hoped that through working together, RNSH Hepatology Services and GPs can move towards eradication of HCV in our area health service. Since 1 March 2016, novel all-oral treatment regimes for chronic hepatitis C (HCV) were made available on the Pharmaceutical Benefits Scheme (PBS). These new interferon-free regimes have the benefits of short duration (8-24 weeks), low side effect profile and high cure rates of >95%. In order for doctors to prescribe oral HCV treatment under the PBS, patients must be treated by a medical practitioner experienced in the treatment of chronic hepatitis C infection; or in consultation with a gastroenterologist, hepatologist or infectious diseases physician experienced in the treatment of chronic hepatitis C infection (PBS, 1 November 2016). The latter PBS stipulation would include GPs who may be motivated to treat HCV patients in the community but may not have had previous experience.